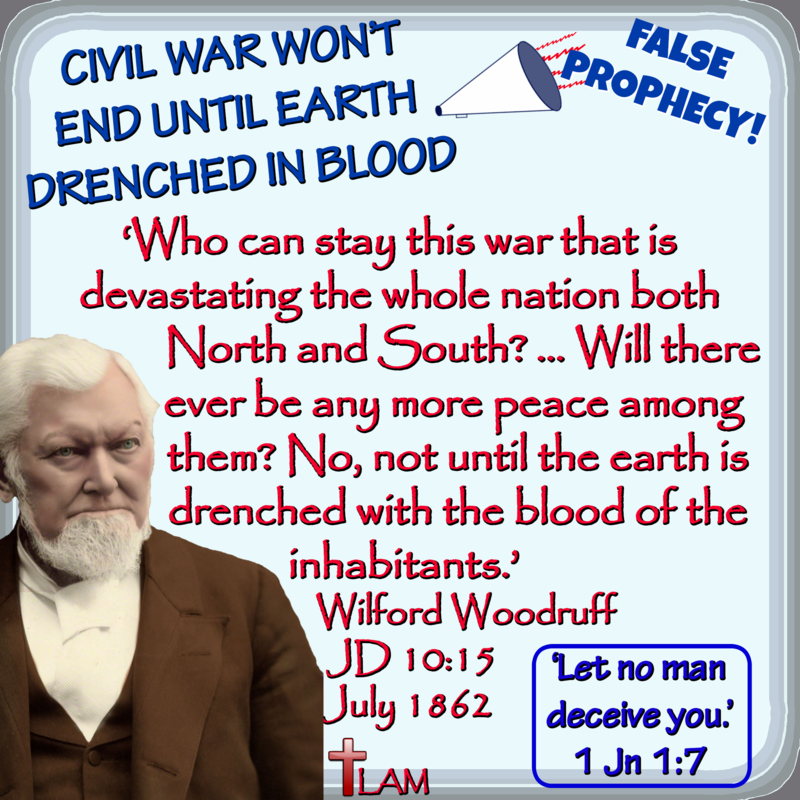 1.The Civil War ended in the spring of 1865, and the earth wasn’t drenched in blood which makes this a false prophecy. 2.As we all know, the Civil War came about to end slavery. 3.The Civil War wasn’t a result of the LDS Church being kicked out of Illinois! The Church left Illinois in 1846-1847. Hence, the ‘Days of ’47’ the state of Utah celebrates every year. The Civil War began on April 12, 1861. False teachings/prophecies like this one still plague the LDS Church today so be sure to share the truth with the Mormon you know and ask for their opinion about this one.